Sign up for Role Model Profiles, New Merchandise, and Invite Only Events! MISSION STATEMENT: Our mission is to expand the global definition of beauty beyond skin deep to include passion, purpose, and accomplishments and to empower a new generation of women to feel beautiful in their own skin. Role Models Not Runway Models™ began with a fashion show and Carrie Hammer's line of clothing 3 years ago. Hammer decided to use Role Models in lieu of traditional runway models. Role Models who graced the CARRIE HAMMER runway and advertorials are CEOS, executives, and incredible women, as well as the first ever model who happened to be in a wheelchair. Role Models Not Runway Models™ has been credited for kickstarting the body positive movement in the fashion and beauty industries and now works hand in hand with brands and the Role Model network to help change the way women are perceived globally! Managing Editor Yahoo Travel and Author, Yahoo! Carrie Hammer started her career as an advertising sales executive and often heard that she should "dress for the job she wanted not the job she had." In 2012 she created the eponymous clothing line CARRIE HAMMER to deliver stylish professional wear to women. Hammer has been credited in kickstarting the “body positive” movement in the fashion and advertising industries through the creation of her powerful campaign “Role Models Not Runway Models™ .” Fox called it “The Runway Revolution” when she included powerful CEOS, executives, activists, and philanthropists on the runway in lieu of traditional models, including the first ever model on the runway in a wheelchair and the first ever model with Down Syndrome. Hammer was featured by Forbes as 30 Under 30 and was named by Entrepreneur Magazine as one of 15 Female Entrepreneurs to watch in 2015. She studied Economics and Women’s Studies at UCLA and Fashion Business and Marketing at the Parsons Paris School of Art and Design. 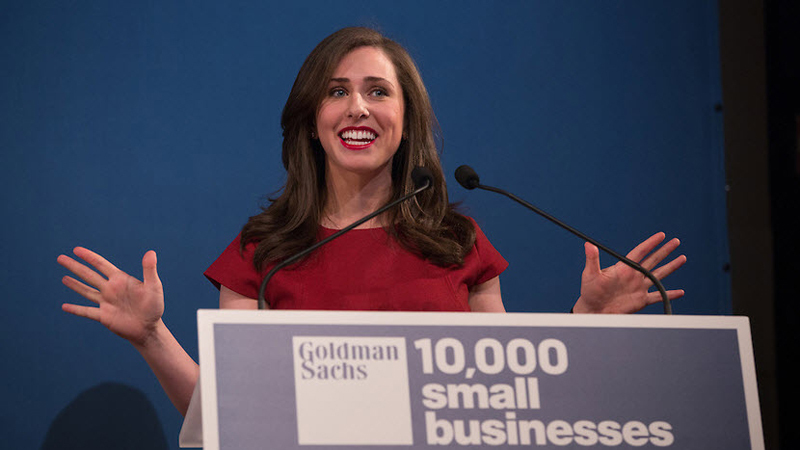 Hammer is a graduate and recipient of the inaugural Tory Burch Goldman Sachs 10,000 Small Businesses program. She also holds a certificate in Fashion Law from the Fashion Law Institute at Fordham Law School. Role Models Not Runway Models™ and Hammer appear under “History” for New York Fashion Week in Wikipedia 3 times! Literally making beauty and fashion history.